Cubber Store is one of the leading merchant website is the Fast and easy mobile Recharge, Bill Payment & Instant Money Transfer Service for Distributor & Retailer. This is for the Business purpose of Retailers and Distributors. In Cubber store, Distributor & Retailer can sign up on this website with valid details. After verification by Cubber Store you can use Services in this website Such as Mobile Recharge, Bill Payment and Money Transfer. The Cubber Store distributor & Retailers works like this - you invest money in your Cubber store website wallet for carrying out transactions for your customers. When you accept the payments, you earn a predetermined commission in your Cubber wallet which is not deducted from the payment done. After successful verified Distributor & Retailer can add money in Cubber Merchant website wallet. And then Distributor & Retailer can use money to Mobile recharge, Bill payment and money transfer. 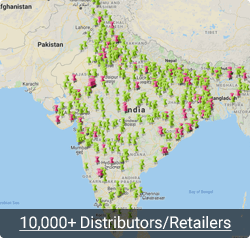 Cubber Store covers major network providers in India that include Airtel, Aircel, Vodafone, BSNL, Idea, Reliance JIO, Tata Docomo (GSM), Uninor, etc. Not only that, to facilitate the online recharges, the latest talk time plans and data packs are updated on the Cubber Store website accordingly. This makes the data more reliable, and the interface becomes more user-friendly for users. We at Cubber Store not only provide you easy accessibility, we also ensure quick transactions. It is possible to complete a prepaid mobile recharge with us in less than 10 seconds. You can do an instant mobile recharge. If by mistake customer do pre-recharge on another number then, Cubber Store is not reasonable for it. There are no possibilities to get refund in these circumstances, but if the number is not working than that money is refundable(if your operator refund) to your Cubber Store wallet or to the source you have done the payment within 24 hours. With the emergence of DTH TV, there is a need to recharge DTH services in order to enjoy a seamless TV experience. But chances are you might forget to recharge on time resulting in a disrupted DTH service. Not anymore! Online DTH recharge is here to rescue you. You can now do DTH recharge online through Cubber Store. You no longer need to rely on shops to get information on the latest channel packs and to recharge your DTH service. Cubber Store is a leading online DTH recharge service provider in India. We provide DTH online recharge for an array of companies including Airtel DTH, Reliance DTH, Dish TV, Tata Sky, and Sun Direct. Stay connected with Cubber Store for latest offers and we will ensure that the process is quick and convenient. The easy option of online recharge of DTH service on Cubber Store is a boon for customers. Now, they can conveniently get their gadgets recharged online, without physically reaching the operator. This has brought about a drastic change in the lives of DTH viewers. Using Cubber Store for online recharge is fast, simple, and secure. In today's generation, using your data card makes internet extremely accessible! You can take it to office or while you are travelling on a business trip, or even on a vacation. With a data card, you can do all the tasks that you perform at office. You get access to the internet, which lets you use emails, browse the web, and download records and much more. These benefits have led to the rapid growth and popularity of data cards. Cubber provides online data card recharges for major companies including Airtel Data Card, TATA Photon, Reliance Net connect, BSNL Data Card, Vodafone, MTNL, and MTS Mblaze. Our reliable customer support and secure payment gateway ensure a smooth experience throughout. Online gas bill payments through CUBBER will save your day! Pay your bills easily online with utmost convenience. Online gas bill payment is a useful method, especially when one is running short of time. You do not need to stress over paper bills and cheques. You can easily pay your gas bill through Cubber with the help of any payment option to complete you payment. Onces the payment is done it is not refundable at any sources. The days for standing in line for paying your electricity bills are gone, all thanks to the Cubber Store Website. Just type in your Bill Number/Consumer Number and you can pay your bills within seconds! Online payment eliminates any kind of hassles and ensures that bill payment is extremely easy. This is where Cubber comes in and greatly reduces your difficulties. We facilitate online electricity bill payment for major service providers including DGVCL, Reliance Energy, NDPL, BESCOM, Jodhpur Vidyut Nigam Limited and others. You can save a lot of valuable time by paying your electricity bill online with Cubber. 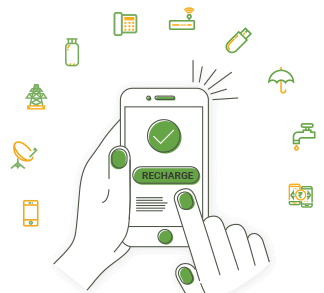 You could be socialising with friends, sitting in an office meeting, or simply relaxing at home, just pick up your mobile or laptop, fill your basic information, and pay your bill in a snap! You get an option to save your transaction details. This means you do not have to re-enter information every time you have to pay your electricity bill. Cubber greatly reduces your troubles in such extreme situations. We offer landline bill payment for major service providers including Airtel landline, Tata landline, and MTNL landline. You can save a lot of precious time by paying your landline bill with Cubber. It is definitely more secure than paying through the mail; as your personal information is at risk of falling into wrong hands. Now send your wallet money directly to your any bank account. Just you need to add beneficiary.